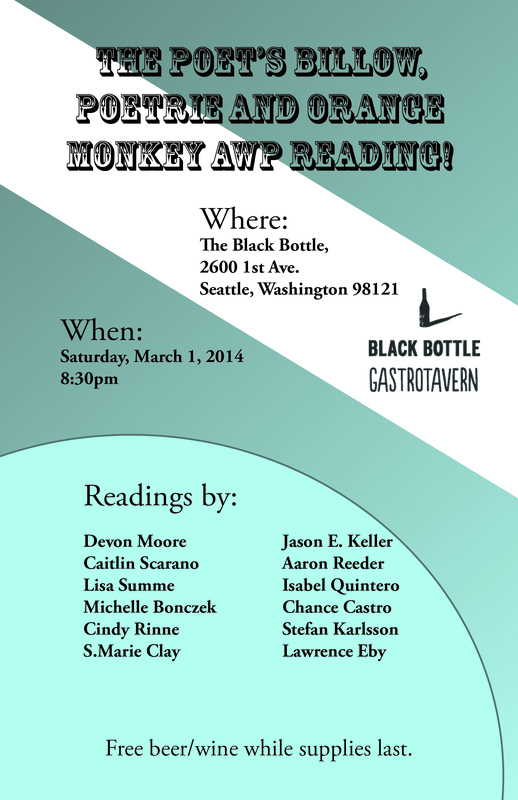 For those who are going to the AWP conference in Seattle or for those who live in the area The Poet’s Billow is teaming up with Poetrie and Orange Monkey Press out of California to put on an awesome poetry reading. Also, we will buy you a drink! Hope to see you there.